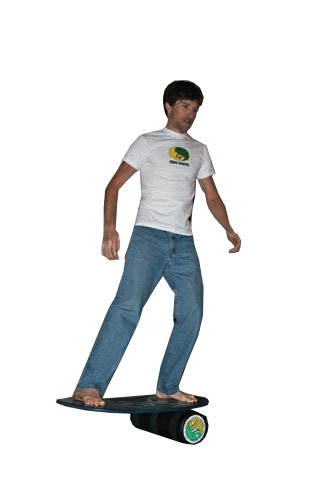 Advanced Indo Board riders will definitely want to try the NEW Indo Rocker Board. This board features full bottom rocker throughout the length of the deck. This results in a super loose feel that is perfect for pulling off advanced tricks. The new design does not require the traditional stops on the bottom of the board since the board naturally slows down as the roller nears the ends of the deck. This design is perfect for wakeskaters, snowboarders, skateboarders, and other advanced boardsports athletes that want to practice pulling off big spin type tricks. The Rocker Package also includes the Indo FLO Balance Cushion to provide a fluid transition with a totally unstable, free flowing platform. 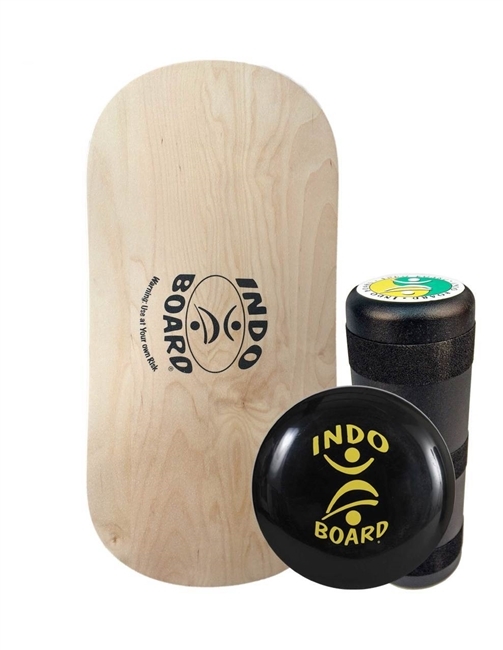 The Indo Rocker Board package is challenging, fun, and immediately beneficial in all aspects of core and balance training.